Eton offers shirts for every occasion and style - from premium business shirts to formal evening wear and smart weekend staples. Discover our collection of classic, yet contemporary shirts cut from the best fabrics for an all-day, care-free performance. A well-thought-out combination of patterns, colours and collars enables you to go from formal board meetings to creative workshops in great style. The white shirt is especially suitable when you want to look your very best, always giving you a fresh and crisp appearance. Complete the classic range with patterns such as fine stripes and micro checks in sky blue, lavender and pink. To add a modern and stylish touch, our micro patterns and woven effects do the job. Never underestimate the power of a crisp white shirt and classic accessories. The sky blue and white striped shirt is a must-have item in your business wardrobe. Our dapper black shirt paired with a black suit is the perfect choice for both office and dinner. Timeless checks such as Gingham and Prince of Wales are perfect if you want to add an interesting touch. If you love your crisp white shirts, but also want to add some interesting details to your attire, our white shirts with contrasting details are just the perfect choice for you. Their clean look together with their smart, subtle details add a sophisticated and modern touch to your style. Choose from solid and subtle patterned shirts with coloured buttons or contrasting fabrics inside the collar, cuffs and front placket. From board meetings to creative workshops – a versatile office wardrobe gets you ready for any business situation. Choose from our selection of elegant accessories in classic patterns such as dots and paisley or seasonal and vibrant prints. Our collection of ties stretches from classic silk ties to casual knit and wool ties. Discover our selection. Our scarves are made in Scotland and Italy from luxurious fabrics such as merino wool, airy cotton and silk. All our pocket squares are made in Italy from finest fabrics. Complete the look with a smart pocket square. Dressing sharp with a soft and relaxed touch – discover our unique and innovative collection with unexpected prints and designs that will refine your wardrobe and personalize your look. Choose from versatile fabrics such as denim, oxford and flannel as well as seasonal styles to match any outfit.  Find out what makes our Eton shirts unique and learn more about the details, different fabrics and designs. Read more about our recommendations on how to care about your Eton shirt in order to increase its life length and even reduce environmental impacts.